TWO BEDROOM, TWO FULL BATH, SECOND FLOOR CONDO UNIT IN PRAIRIE POINT!!! OPEN FLOOR PLAN! VAULTED CEILINGS! KITCHEN LIGHT AND BRIGHT WITH PANTRY CLOSET. OPEN CONCEPT LIVING ROOM, DINING ROON AND KITCHEN. PRIVATE MASTER BATH, NICE SIZED WALK-IN CLOSETS. ALL APPLIANCES STAY: REFRIG, STOVE, MICROWAVE, DISHWASHER, WASHER, DRYER. BALCONY WITH STORAGE CLOSET. ASSIGNED PARKING SPACE. 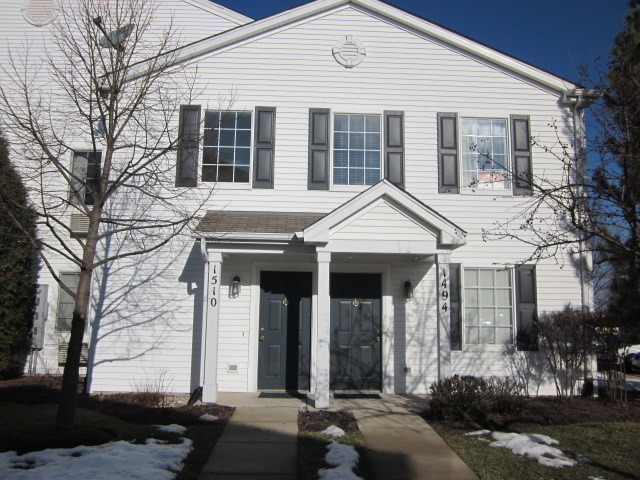 GREAT LOCATION - MINUTES AWAY FROM I-88 AND CHICAGO PREMIUM OUTLETS! CLOSE TO STORES, PARKS AND TRAILS! ASSESSMENTS INCLUDE: WATER, EXTERIOR MAINTENANCE, LAWN CARE, SNOW REMOVAL & COMMON INSURANCE.